Kris' first marriage to Robert Kardashian ended in a divorce, and he later passed away in 2003. 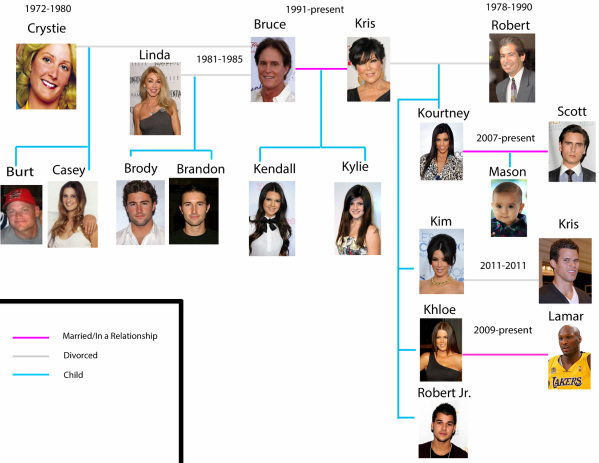 Through that marriage, Kris had four children; Kourtney, Kim, Khloe, and Robert. So far, Kris is a grandmother only to Kourtney's son, Mason. Bruce's first two marriages, both of which ended in divorce, also gave him four children; Burn, Casey, Brody, and Brandon. Bruce then married Kris, who had Kendall and Kylie. Bruce and Kris each have 6 kids, with 10 children total.